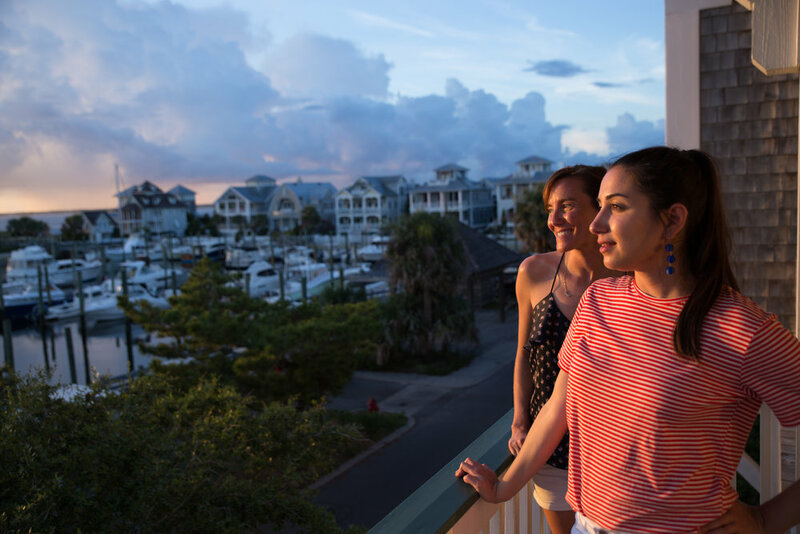 I hope you enjoy part 2 of our week on Bald Head Island with our friends and roommates Sarah and Casey. If you missed Part 1 be sure to check it out here! 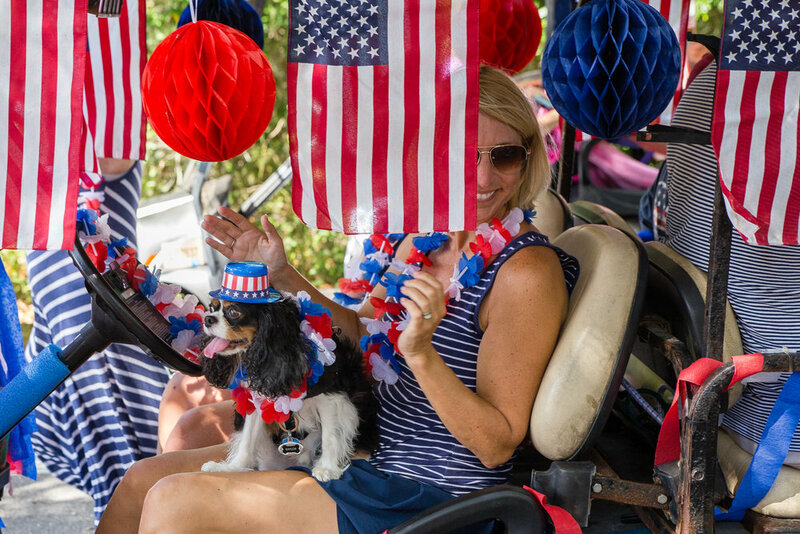 We woke early on the 4th of July to take in one of Bald Head's long standing holiday traditions, the Golf Cart Parade. 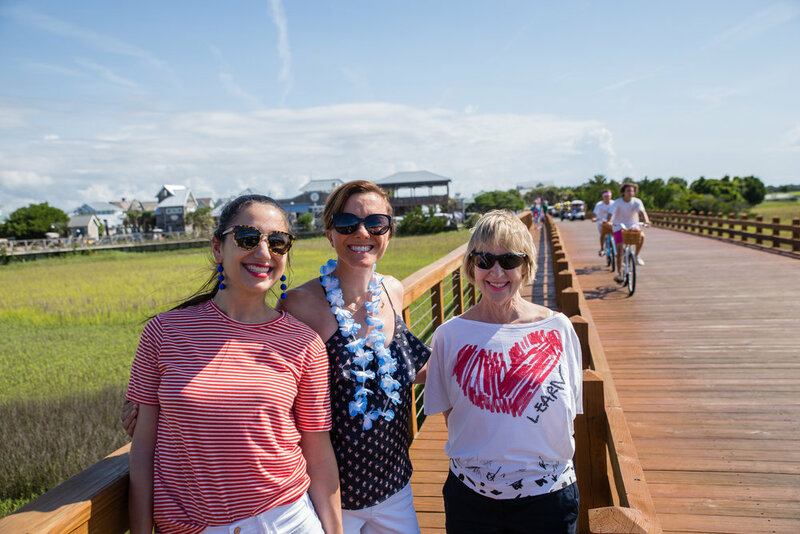 Locals and visitors alike deck out their rides in various themes like Americana, Pirates, and Summer. 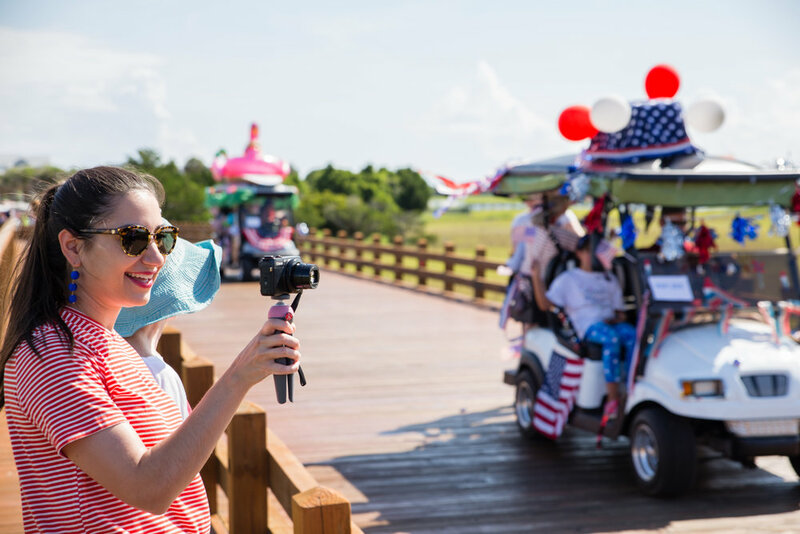 It was so so fun to watch about 100 carts roll past covered in streamers, inflatable animals and filled with Islanders spraying water, confetti and throwing candy. It reminded me of the holiday parades I watched as a kid and was honestly so fun to see. My favorite carts were these festive ladies and this amazing under the sea themed cart. We opted to take a break from the beach this day (Casey was fighting a bout of walking pneumonia) and instead got lost in a few of the open houses on the island. This quickly became one of my favorite hobby to do on the trip, we probably saw something like 5 or 6 houses during our stay. I loved seeing how each family decorated their homes and filled them with all the beach paraphernalia. In the late afternoon we lounged around the house, read our books, snacked on chips and salsa and rested. It was such a relaxing way to spend the day. 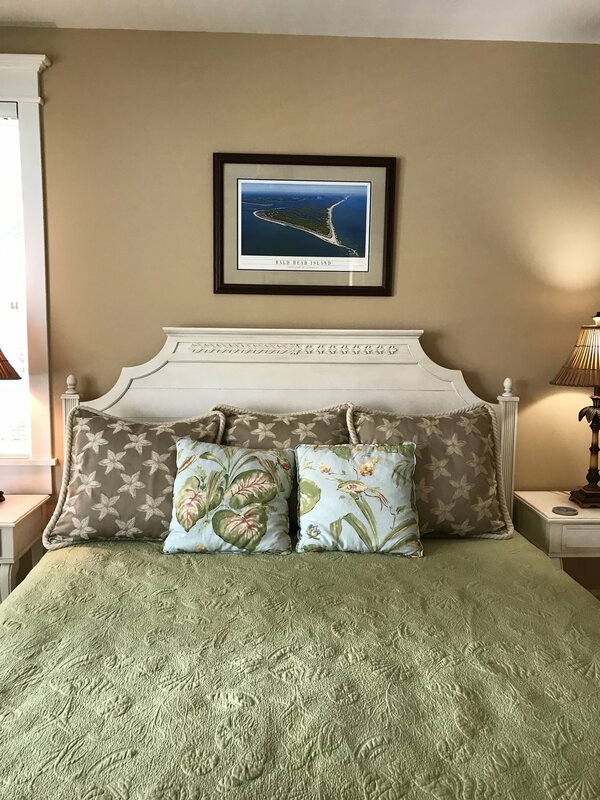 In the evening we popped over for Happy Hour at the Inn at Bald Head Island which quickly stole my heart. The decor was stunning and the hosts we so sweet to us. Later on we had the same tree house friends over for a BBQ and ended the evening watching fireworks from the townhouse's harbor facing deck. I really came to love our frequent sunset dinners. It was such a lovely low key evening and was wonderful to be surrounded by some of our new extended family through Casey's parents and friends. The rest of the week treated us very well. 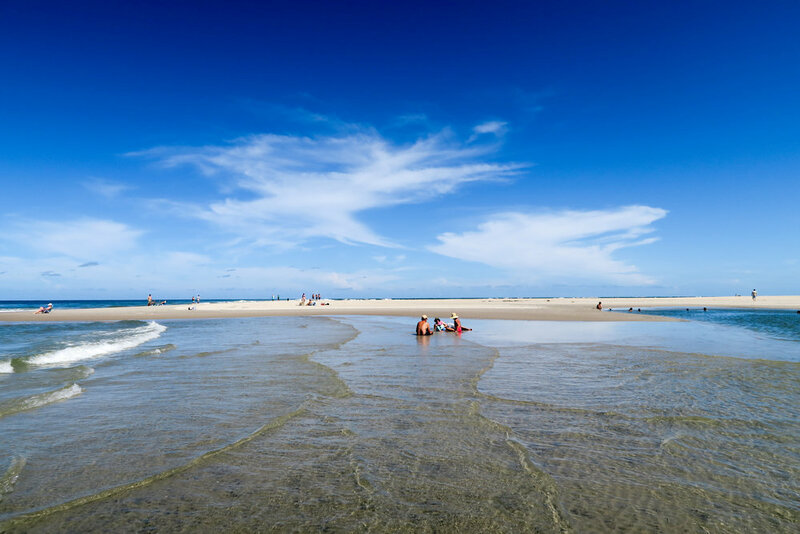 We resumed our daily trip to the beach which begun to include a walk down to Cape Fear on the shoreline which provided many warm tide pools and a panorama vista of the corner of Bald Head Island. I loved walking and wading around the shoals. Jeff and I had a ton of fun talking photos around the Harbor and walking through all of the little streets and paths. I fell in LOVE with one of the homes for sale and we frequently walked past it so I could stare longingly at what I came to call the Notebook House. I even got to spend some time with Jesus and took a long morning walk alone on our second to last day. I prayed and listened to the waves from my favorite little gazebo at Beach Access 1. On our second to last night we enjoyed a sunset walk and a late dinner in the Harbor at Delphina's for some fresh Mexican food. The queso Sarah and Casey built up all week definitely did not disappoint. On our last full day on the island we played in the sea until the early evening and then came home to a block party happening on our little lane. It was super fun to meet more neighbors (we enjoyed cocktails with the family next door!) and eat more BBQ outside while playing corn hole with a view of the marsh. We met some of the sweetest people from all over the East Coast, swapped stories and bonded over our love of the Island. We headed out early the next morning on the 8 am Ferry and spent the hours before our flight back in Chapel Hill. Casey's dad gave us a tour of the UNC campus which was so pretty in the summer, lush and full of all the brick buildings. It was so East Coast and I loved it. I am so grateful to Sarah, Casey and his parents for hosting us on the Island for a week and showing us their home in NC. Stay tuned for my first City Guide to Bald Head Island!